The statement preceded a declaration from the Chinese Supreme People’s Court that “trespassers” (non-Chinese nationals) navigating the waters the Hague ruling confirmed did not belong to China would be subject to prosecution for illegally entering China. The Permanent Court of Arbitration at the Hague ruled last month, in the case Philippines v. China, that the Chinese government did not have the right to construct artificial islands in the Spratly and Paracel Island chains or the Scarborough Shoal, and the waters around these disputed territories were not Chinese. China claims territory in the South China Sea that belongs to the Philippines, Vietnam, Malaysia, Brunei, and Taiwan, and the waters off Indonesia’s Natuna Island. 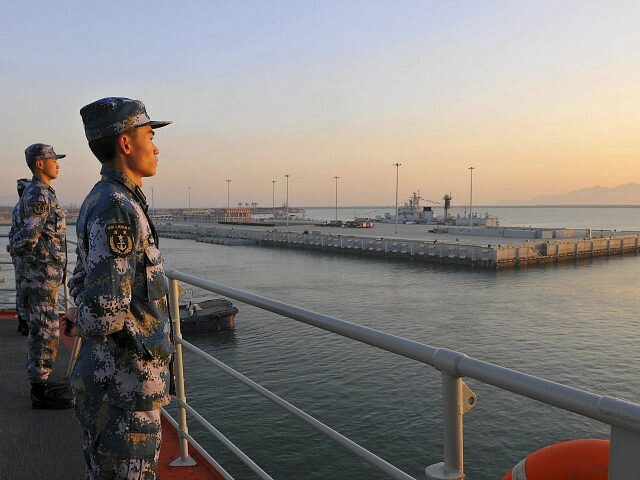 “Illegally entering Chinese waters,” defined as the aforementioned international territories, could result in a conviction and up to one year in prison, CNN notes. In addition to installing multiple military facilities in the disputed territories, China has also attacked Filipino and Vietnamese civilian fishermen, with Chinese Coast Guard sinking several Vietnamese fishing vessels. In addition to the new policy, China has scheduled military drills with Russia in the disputed territory, arguing that it consists of sovereign Chinese waters. Despite the Philippine government being the plaintiff in the Hague case. Chinese media has largely focused on attacking external powers for statements supporting Philippine claims, not the Philippines itself. This is partly due to a transfer of power in the Philippines; President Benigno Aquino, who began the litigation, has since completed his term and yielded power to incumbent Rodrigo Duterte. Duterte has used significantly milder language against China than Aquino and has suggested dialogue. Instead, China has focused its ire on Japan — alleging a retired Japanese judge pushed the Hague to decide against China — and nations like Australia, who have come out in support of the international tribunal.